Let's go back about thirty years in country music - and one could make the argument that it was bleak indeed. Country had never sounded so polished and sterile, plainly trying to play for pop radio instead of doubling down on what made the genre good in the first place - sound familiar? But that was about to change with the rise of what would become one of the biggest and most celebrated movements in country music: the neotraditional sound. Led initially by George Strait and country pop defector Reba McEntire in the mid-80s, by the late 80s it would explode thanks to a burst of terrific talent talent seldom seen before in the genre. In 1989 alone we got the debut records from Clint Black, Travis Tritt, Mary Chapin Carpenter, Garth Brooks, and Alan Jackson. And these weren't just bursts of talent from the indie scene - they were hitmakers and tremendously popular, pushing one of my favourite genres with the neotraditional sound into a creative boom that would last for nearly ten years. But let's go back a year to 1988, where the artist we're going to talk about today, Texas country artist Mark Chesnutt, began his career on an indie label before heading mainstream. His name doesn't tend to come up as much in the neotraditional movement, but he was definitely there in the early 90s with a string of real hits. I'm honestly not sure why he isn't remembered more - I still remember most of his 90s hits, and most of them are pretty decent, if occasionally a little too slick for their own good. Maybe it was because he didn't take more of an active role writing his own songs, especially early on, but a larger factor was a cover he made of Aerosmith's 'I Don't Want A Miss a Thing', a song that was a pop sellout for both acts and that he actually regrets to this day. I'm not about to blame him for it - pop country made a massive comeback in the late 90s, it's understandable his label might have pushed him in that direction, but then his label was dissolved and for a few years he kind of got stuck in the lurch. So when country had shifted into the rougher sounds of the early 2000s, Chesnutt probably did the best thing he could have done - he went back to the indie scene and his roots with the honky tonk sound in Texas. And since then, while he hasn't been writing a lot, he's been putting out a series of critically acclaimed records - sure, he doesn't write many of the songs, but he's always had a knack for finding smart songwriters with a knack for nuance, ever since the 90s. Now this album Tradition Lives is his first since Outlaw in 2010, and it's been getting a lot of critical acclaim, especially from the indie country set, so I figured I'd give it a listen - was it worth it? Well, that depends a lot on what you're expecting. If you're looking for a country record that's going to push the genre forward or evolve the sound like what Dave Cobb or Sturgill Simpson released this year, of course you're not going to get that. 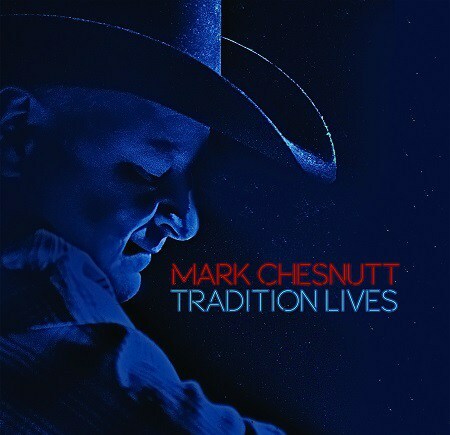 But if you're looking for a remarkably solid neotraditional country record with writing and production that's a considerable cut above average, Mark Chesnutt's Tradition Lives is exactly that. It's defiantly a throwback to a different era - it actually reminds me a lot of what Alan Jackson did with Angels & Alcohol last year - but if you like that sound as much as I do, you're not going to care all that much, and instead enjoy a record that holds up as a solid entry into country music quietly strong year. And yet the funny thing is that Chesnutt isn't really doing that much that's different than your typical 90s neotraditional country record with more of a Texas influence updated for the modern age, especially instrumentally. The acoustic guitar has great texture, the electric guitars have solid rollicking tones, there's plenty of fiddles, bouncy piano and pedal steel, and there's even a key change on 'Lonely Ain't The Only Game In Town'. If anything I'd say this a rougher cut compared to what Chesnutt had in the 90s, which always felt like it had a bit too much reverb and was too smooth, and while many of the song structures feel a tad basic, it doesn't mean he doesn't put it some solid hooks or take tracks in interesting directions. Now for sure the piano, fiddle and electric guitar against the midtempo acoustic groove on 'Is It Still Cheating', 'You Moved Up In Your World', and 'Losing You All Over Again' are playing in very comfortable territory, but then you have the bitter minor tones on the strings of 'Oughta Miss Me By Now' with touches of organ, or the darker acoustic tones on the album highlight 'So You Can't Hurt Me Anymore' or the great textured acoustic tones of 'What I Heard' really come through. And sure, I'll admit I wish more of the guitars had the bite of the Merle Haggard cover and closer 'There Won't Be Another Now', but Chesnutt has never played for a harsher sound and that's fine by me. I do, however, think this album could have afforded to take a few more chances in the production and instrumentation - in comparison with the hooks, the solos can feel a little abbreviated, or the production not quite tilting into the atmosphere to intensify the melancholy or anger or heavier emotions. But then again, that's kind of the point, especially when you consider Mark Chesnutt as a singer. Now for me he's always reminded me a bit of George Strait and Alan Jackson, with a bit of a thicker accent and smoother tone, but what impressed me about this album is how expressive he was. You didn't always pick up on it with how slick some of the vocal production was on his 90s work, but here's it's welcome, along with backing vocals that never feel overdone or synthetic. And let me stress how important this is, because there are entire songs where the emotional subtext is carried entirely by Chesnutt's performance, not the text of the song itself. And that's incredibly difficult to pull off well without sounding ham-fisted, but he nailed it. And what is that subtext? Well, really it's a selection of complicated, mostly failing relationships, which Chesnutt pulling absolutely no punches in the framing to show his own culpability. Sure, you get 'Neither Did I', which plays for goofy caricature that unfortunately tilts a little too hard into stereotypes of 'women be crazy', and the song 'Hot' is really all about how damn high the temperature is - seriously - but for the most part this record goes for a little more nuance and storytelling. And while there are the easy hits - 'Never Been To Texas' is easily the biggest smack against the modern Nashville sound since Randy Rogers and Wade Bowen made 'Standards' last year, and while the Merle Haggard cover hasn't really aged well in the writing Chesnutt nails the delivery - there's a lot of tracks that go deeper. Take 'Look At Me Now', a deceptively upbeat track about cheating in a third rate motel, and thanks to the detail in the lyrics it's got the same crapsack vibe that made Sammy Kershaw's 'Third Rate Romance' work. Or take both 'Oughta Miss Me By Now' and 'What I Heard', the latter a breakup song where Chesnutt is deceiving himself about how he still has a chance and the former which gets kind of pissy that the woman hasn't taken him back yet - and yet these songs both work because the vocal subtext makes it clear that Mark Chesnutt's just lying to himself to put off the real pain. Similar case for 'Losing You All Over Again', where he meets an old ex and tries to keep it together when all the feelings come rushing back. And then there are the songs where he's just moved past the pain, like the borderline progressive 'Is It Still Cheating' where the love has sputtered out the marriage and both partners are cheating - and know it. I wouldn't quite call it an endorsement of open marriages but it has an air of melancholic straightforward reality to it I admire. Similar case to meeting an old ex coming back to Texas after her star faded in Nashville with 'You Moved Up In Your World' - I think there's a hope something could happen, but Chesnutt also seems content with just being back in this person's life, even if it is as a friend. And then there's 'So You Can't Hurt Me Anymore', which might seem like a breakup song until you dig between the lines and discover one of the most well-conceived songs about alcoholism I've heard in a long time - real gutpunch of a track, did not see that coming, easily one of the best here. But really, this album is great, and no, not just because I'd take this over the standard Nashville sound any day. Sure, I've got a natural predilection to this sound, I grew up with it, but the writing and performance is what really makes Tradition Lives something special. I'm thinking a light 8/10 and most certainly a recommendation, especially if you're a fan of neotraditional country music, but even if you're not, check this out anyway - this is a veteran sounding as good as he ever has, and over twenty five years in, I can't fault him for that.